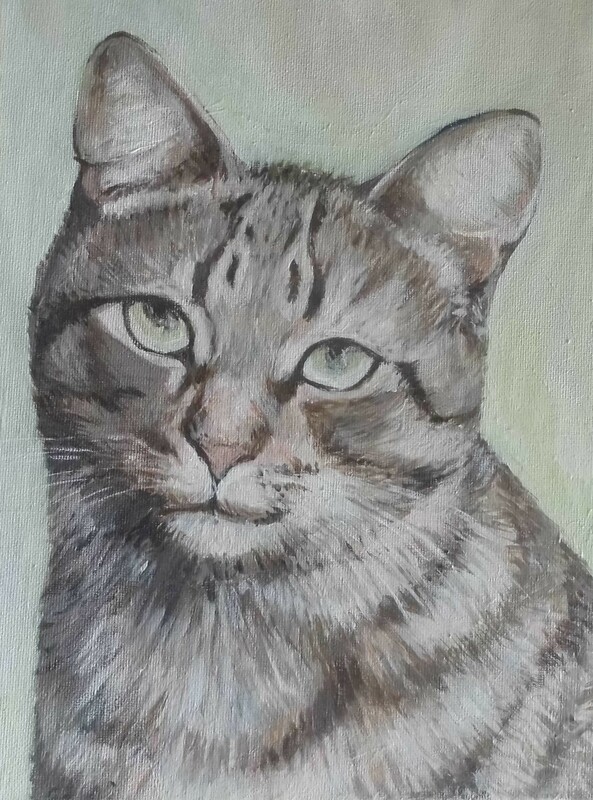 I am an artist painting pet portraits. 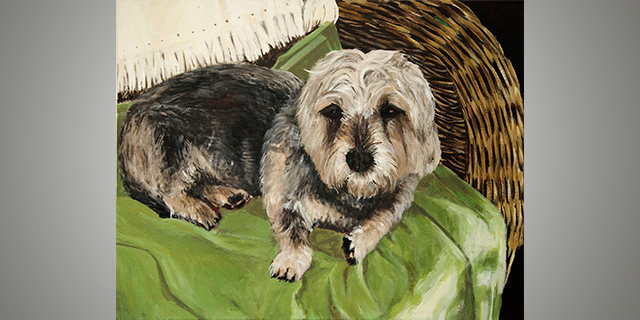 Portraits of beloved pets make great gifts and many of my paintings have been given as birthday and Christmas presents. 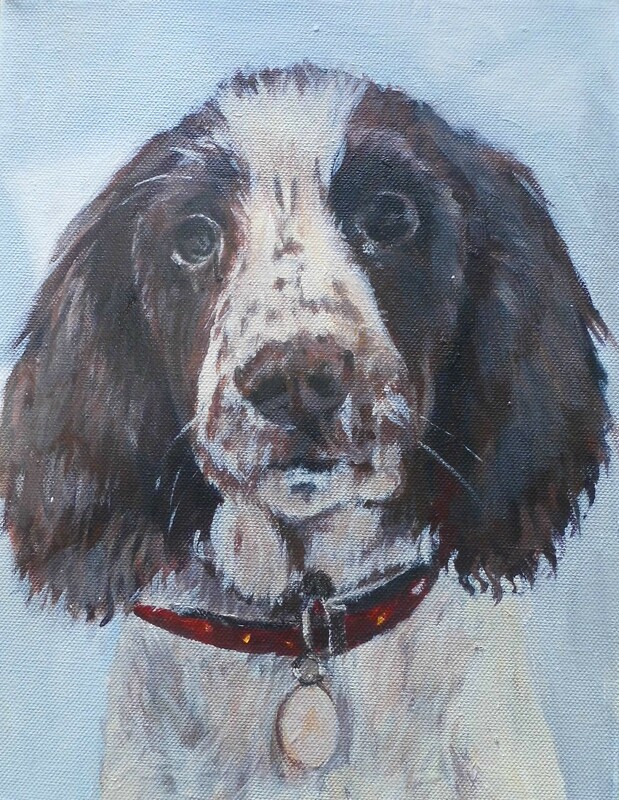 I can paint or draw a portrait of your pet directly from your photographs and can send the finished portrait to you by post. No deposit is required when commissioning a portrait and I can provide an opportunity for you to approve it before it is finished. 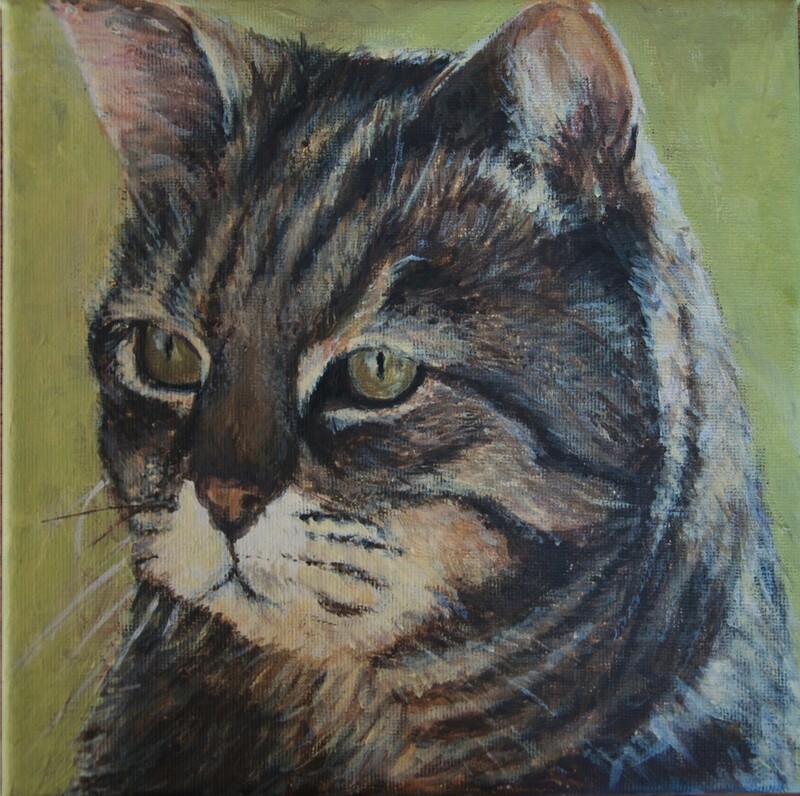 I am based in Leamington, Warwickshire but paintings can be sent by post to any location. To commission a portrait you can contact me by phone or email and send me a photo by e-mail or in the post. It is very helpful to have more than one photograph to look at. A clear photograph taken with a digital camera is best as photos taken with mobile phones can be too pixilated. The more detailed the photo is the more detail I can include on the painting.